Neutral cool. I so into these knit pants by Zara. They are so comfy and the color is refreshing. 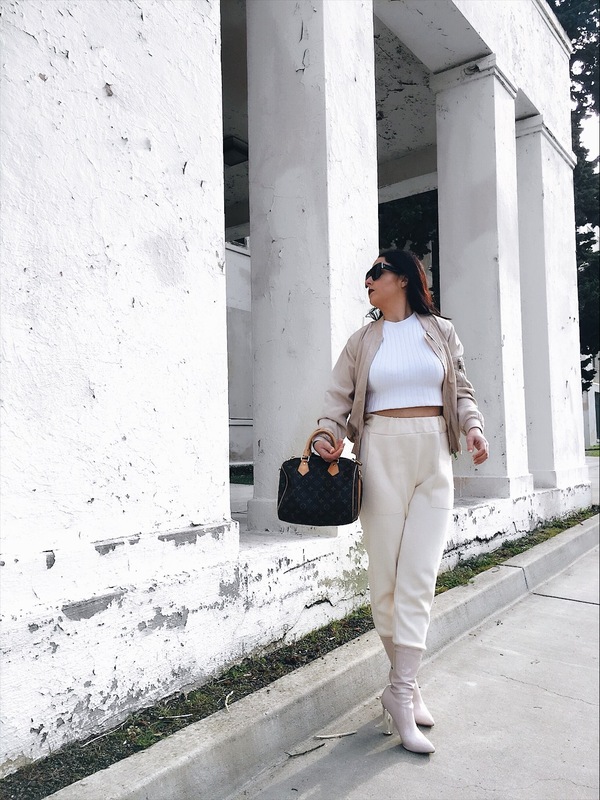 I have this pant in black and I wear them frequently, so really getting them in this neutral color was a no brainer. The cream color allowed for a different take on the normal all black that I usually always go for. The higher waist of course calls for a nice crop top. I love this white sweater crop by American Apparel, it really goes with so much. One top I stayed with the neutral theme with a lightweight bomber. I’m so into these high ankle boots and they completed my look perfectly. Bringing athleisure into 2017. I love the colour scheme and dark lip!! this outfit is everything! love your pants.